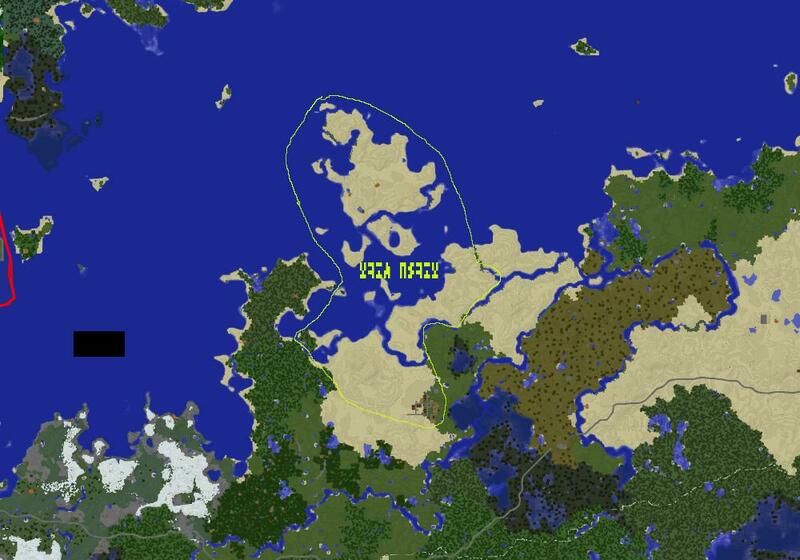 I suggest including this bit of land to the south so that the borders follow the terrain more naturally, ok? Also to avoid confusion, I'll remove the poll, as only posted votes count, because usernames can't be verified otherwise. If you're ready to open the poll for a defined region, post that people can vote for or against it. Ok, people can vote for the next week. You know, since Quontex asked himself to be banned, maybe we should nullify this? Pretty large chunk of land being taken up by someone who can't even play. He has been unbanned again. Oh, okay, I guess he just wanted a temp ban to cool off.